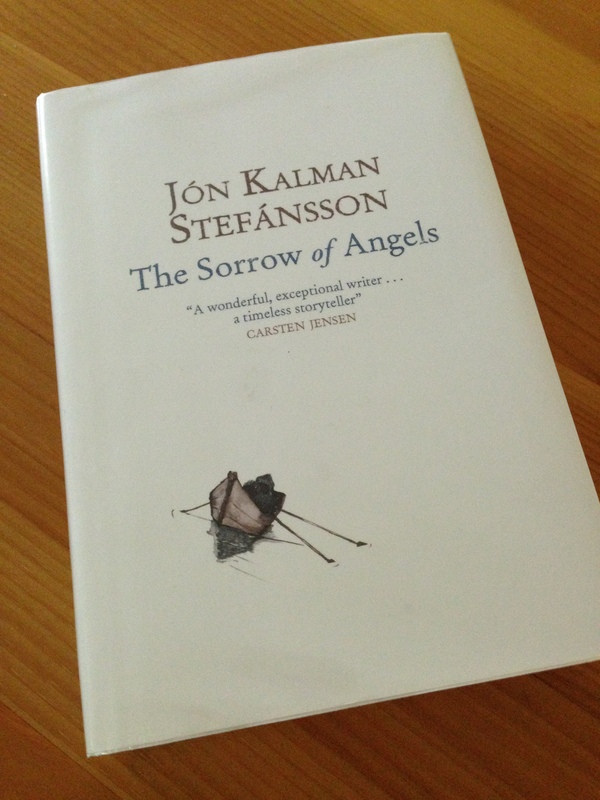 Jón Kalman Stefánsson’s The Sorrow of Angels is the second volume in a trilogy that began with Heaven and Hell (published in 2011). Set in a small fishing village in 19th-century Iceland, a place that feels close to the end of the world, the story opens with the arrival of Postman Jens in the community; he’s in a bad way, battered by the bitter wind and snow, almost frozen solid on his horse. After a short recovery, Jens is challenged by Sigurður (the local pharmacist and someone with considerable influence) to cover another postal route. The terrain is treacherous, ‘likely hellish after constant snowfall, relentless wind, only to be ventured by highly experienced travellers’ and our man is unfamiliar with the area. If Jens fails to deliver the post on time, his job will be at risk; if he succeeds, it strengthens his position against the doctor and there is no love lost between these two. Jens quickly accepts the mission, the prospect of getting one over on Sigurður being too tempting to resist. During their journey Jens and the boy develop an understated, yet heartfelt, bond. They come dangerously close to losing one another, but Jens remains mindful of the need to take care of his young companion. Up on the heaths and mountains, the space between life and death seems very narrow as we become acutely aware of the fragility of life. The Sorrow of Angels is a spellbinding novel, beautifully written in a lyrical, poetic style. Everything seems to flow seamlessly, from Stefánsson’s luminous prose through to Philip Roughton’s excellent translation. Stefánsson creates an ethereal, almost otherworldly atmosphere in this novel and it vividly captures man’s struggle with the adversities of life. The publisher’s notes indicate that all parts of this trilogy can be read independently. However, having read The Sorrow of Angels, I do wish I’d had sufficient time to start with Heaven and Hell before embarking on part two of the trilogy. I just felt a little disorientated at the beginning of the narrative and I’m sure I missed some of the nuances and subtleties in the interplay between characters in the village community. That said, of all the books longlisted for this year’s IFFP, The Sorrow of Angels is most certainly in my top three. I’m delighted to see it in our shadow-group shortlist and the closing scenes left me yearning for the next part in the trilogy. And of course I shall have to go back and read Heaven and Hell to fill in those gaps. I read this book as part of an IFFP-shadowing project led by Stu at Winstondad’s blog. Other members of the IFFP shadow group have also reviewed The Sorrow of Angels: Tony Malone, Tony Messenger, Stu and Bellezza – just click on the links to read their thoughts. This review was first published as a guest post on David Hebblethwaite’s blog (13th April 2014) and David has kindly granted his permission for me to republish it here. Final note: I’ve now read Heaven and Hell, the first book in this series, and as one might expect, the two books share the same shimmering prose and ethereal atmosphere. And having read the first volume, I gained so much more from my second reading of Sorrows. Both books are just wonderful. The Sorrow of Angels is published in the UK by MacLehose Press. Source: library copy. This entry was posted in Book Reviews, Stefánsson Jón Kalman and tagged #TranslationThurs, Book Review, Fiction, Iceland, IFFP, Literature in Translation, MacLehose Press on May 12, 2014 by JacquiWine.